It all ends next week. The winner of this round of semi-finals will square off with our classic movie winner for one big final showdown. As we did last week, I’ll recount the road our nominees of taken; who they’ve bested, and how many votes they’ve amassed, so far. Voting closes next Monday! 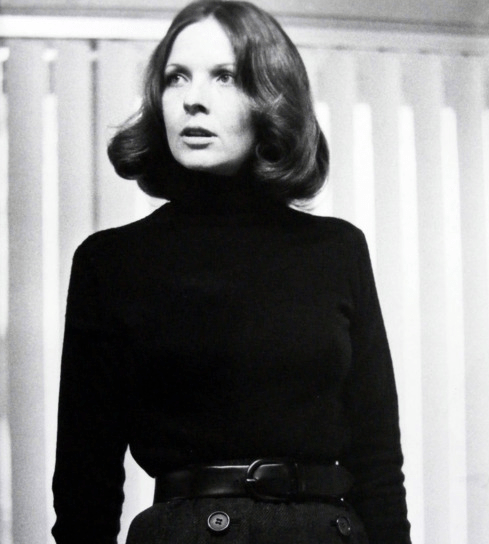 Diane Keaton had a tenuous hold on the number one position during the 1970s tournament. She had some stiff competition, and only beat Faye Dunaway by one point. She also sailed past Jodie Foster, Carrie Fisher and Jane Fonda. With such a shaky hold in her decade, I don’t see Keaton putting up much of a fight, especially against competitors who garnered more votes than her. Molly garnered the least amount of votes to win out of all the other competitors in this section. Only seven votes garnered her a win as she beat out Goldie Hawn, Sigourney Weaver, and shockingly Meryl Streep! She’s got the name recognition and pop culture identity that she could put up a fight, but there might be a reason for such low turnout in the 80s poll. Sandra and Natalie Portman in the 2000s are tied for most votes in this section, both nabbing thirteen in their respective decades. Sandra fought tooth and nail against Julia Roberts to win the 1990s poll, and with so many votes handed to her, I think we could see a possible finals participant. Natalie trounced all her competitors in the 2000s poll including Angelina Jolie and Reese Witherspoon. Natalie has a hefty amount of votes already, and her poll was one of the biggest in terms of voter turn-out. It could come down to her and Sandra Bullock, purely on the amount of votes.